When many international travelers think of Japan, they call to mind visions of crowded “neon cities” such as Tokyo. Japan, however, has a much gentler side, complete with rolling hills and rustic charm. The town of Takayama and the Japanese Alps mountain range in the Hokuriku region represent one such rural destination. Why not make Takayama a stop on your next Japanese vacation? If you would like to discover the unique destinations in and around the town of Takayama and Kanazawa, consider the following travel tips. Takayama is easy to access using your Japan Rail Pass. If traveling from Tokyo to Takayama, first take the JR Tokaido Shinkansen to Nagoya with the JR Pass. Use the Hikari rather than Nozomi trains, as the Nozomi is not covered by the JR Pass. Alternatively, you may take the Hokuriku Shinkansen from Tokyo to Toyama. From either Nagoya or Toyama, you should take the JR Hida Limited Express to Takayama. The journey from Tokyo to Takayama takes about four and a half hours in total, during which you can enjoy magnificent panoramic views of the Japanese countryside. If traveling from Kyoto or Osaka to Takayama, your journey will be very similar. From Shin-Osaka Station or Kyoto Station, take the Hikari or Kodama trains on the Tokaido Line to Nagoya, then take the JR Hida Limited Express (also known as Wide View) from Nagoya to Takayama. The journey from Osaka takes about three and a half hours or about three hours from Kyoto. Most attractions are within walking distance of the train station, but if you plan on taking a sightseeing tour or visiting the Hida no Sato or Matsuri no Mori museums, the Takayama Hida Bus Center is a mere 10-minute walk from the town center. 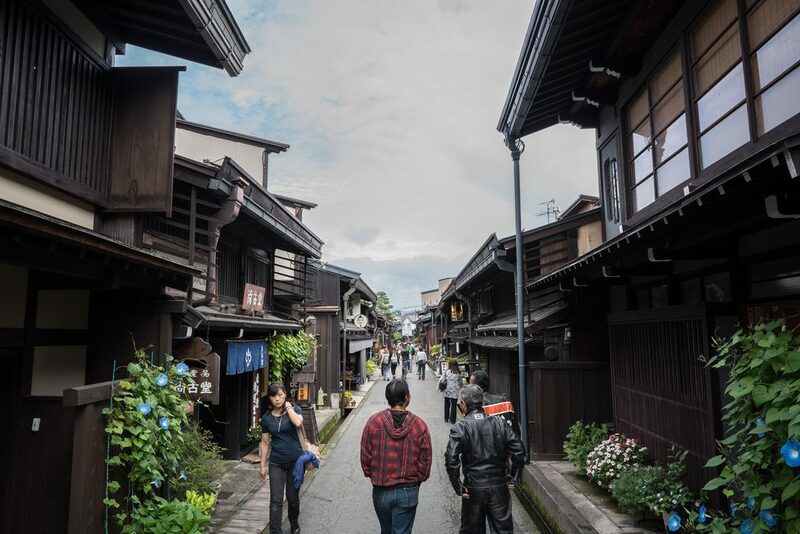 Takayama offers a taste of the Japanese culture of yesterday and today. The area holds plenty of indulgences for the avid sightseer – green fields dotted with rustic farmhouses, Japanese gardens, shrines, temples, castle ruins, and well preserved historic buildings, such as Edo period houses and samurai dwellings. The old town can be toured by rickshaws called jinrikisha. There are also numerous onsen, or hot springs, available to provide rest and relaxation. Many of the onsen are of the traditional outdoor type. Locally made handcrafts and goods are available in the town’s morning market. If in need of refreshment, you can visit a traditional teahouse or a sake brewery. Besides, you can take a local bus to Hida Folk Village: a nearly 100,000 square meter park including over 30 buildings (mostly traditional sloped-and thatched-roof houses), gardens and a beautiful lake. This model of a folk village holds recreates Hida’s historical look and traditions, and is the home to several National Cultural Treasures. The nearby Japanese Alps National Park, also called Chubu Sangaku Kokuritsu Koen, is a delight to nature lovers. There, bird watchers may catch a glimpse of the golden eagle or rock ptarmigan. Available activities include skiing, hiking, and picnicking, as well as riding the Shin-Hotaka Ropeway and relaxing at the Oku-Hida Spa Village. The Takayama Festival takes place each spring and fall, celebrating the city’s history from the fifteenth to nineteenth centuries. The festival is held at the Sakurayama Hachimangu Shrine, and begins with a parade of one thousand people in full costume followed by ten floats called yatai. The festivities include traditional dances, marionette puppet displays, and other performances. 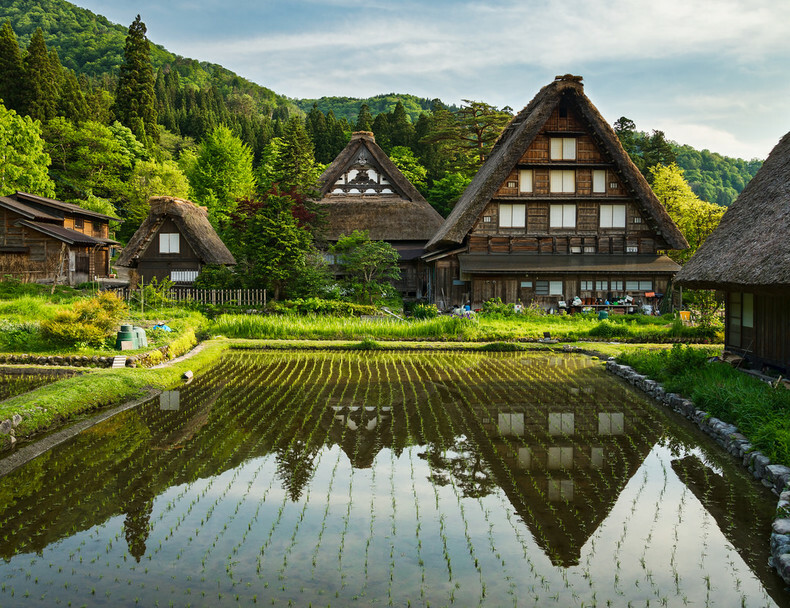 During your stay in Takayama, you may wish to embark on a day trip to Shirakawa-go. This area, complete with thatched roof farmhouses used for the cultivation of silkworms, has been declared a UNESCO World Heritage Site. You can even lodge in one of the historic buildings overnight. There are no train services to Shirakawa-go, but the Nohi Bus is available from Takayama. The trip lasts approximately one hour. An information center, lockers, shops, and restaurants can be found in the historic buildings near the Shirakawa-go bus stop. 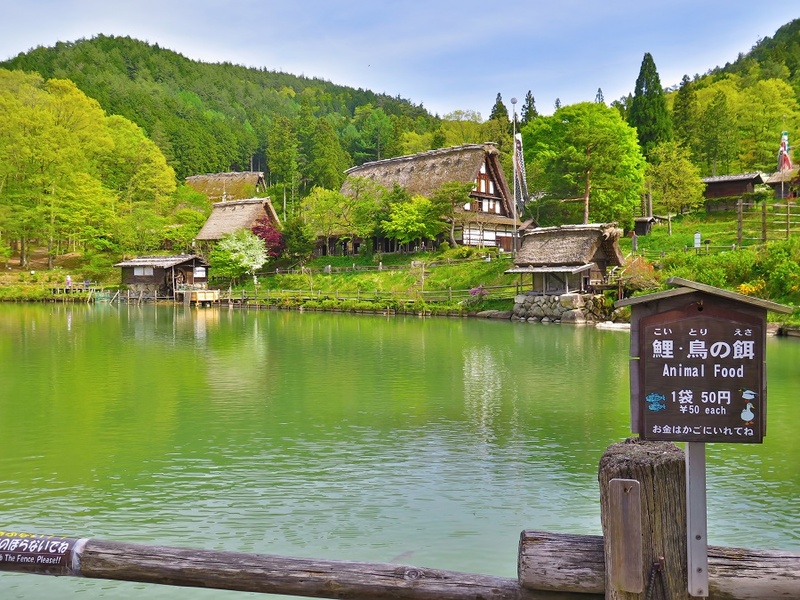 Many travelers also seize the opportunity to visit the neighboring village of Gokayama (30 minutes by bus) and the valley of the Shogawa River. 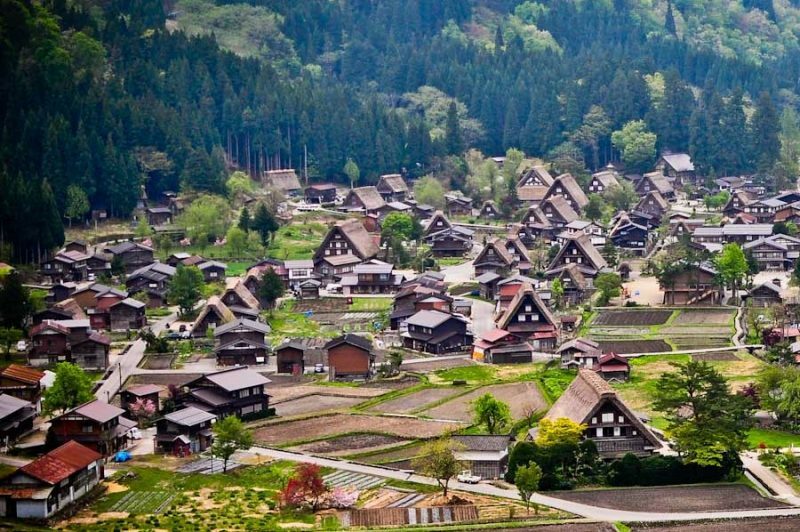 The Historic Villages of Shirakawa-gō and Gokayama are one of Japan’s UNESCO World Heritage Sites. Kanazawa, nestled between the mountains and the Sea of Japan, is often the next stop for many tourists to Takayama. 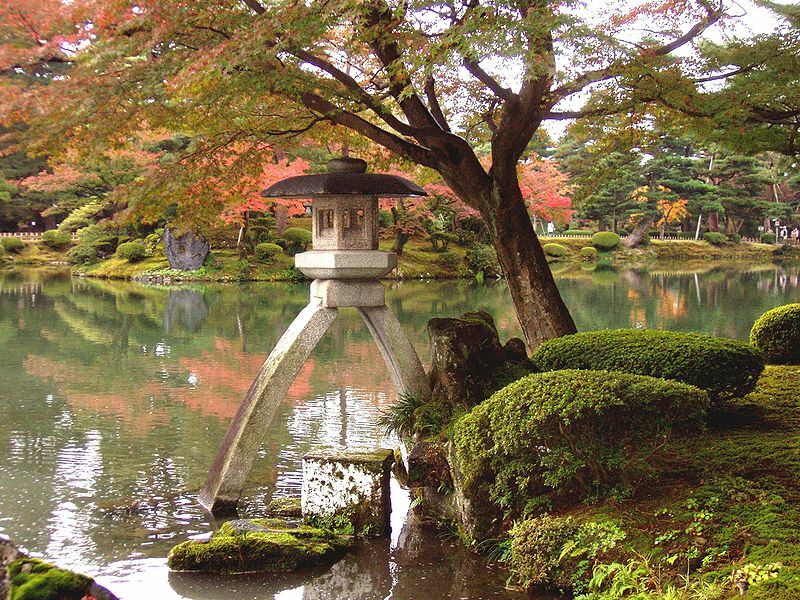 In Kanazawa, you will find one of Japan’s most beautiful gardens, the Kenrokuen. The nearby Kanazawa Castle Park, built in 1583, was once the home of the feudal Maeda family who founded the Kenrokuen garden. Because it has not experienced wars or natural disasters, the historical structures of Kanazawa are well-preserved. The city is also home to the Twenty-first Century Museum of Contemporary Art, the Kanazawa Noh Museum, the Ishikawa Prefectural Museum of Art, and the Shiinoki Cultural Complex. The mild weather of this area makes it a sublime destination all year round. Hi, Is it easy to do Tokyo => Takayama => Kyoto? Yes – it is very easy with your Japan Rail Pass. – If traveling from Tokyo to Takayama, first take the JR Tokaido Shinkansen to Nagoya with the JR Pass. Then just take the JR Hida Limited Express to Takayama. 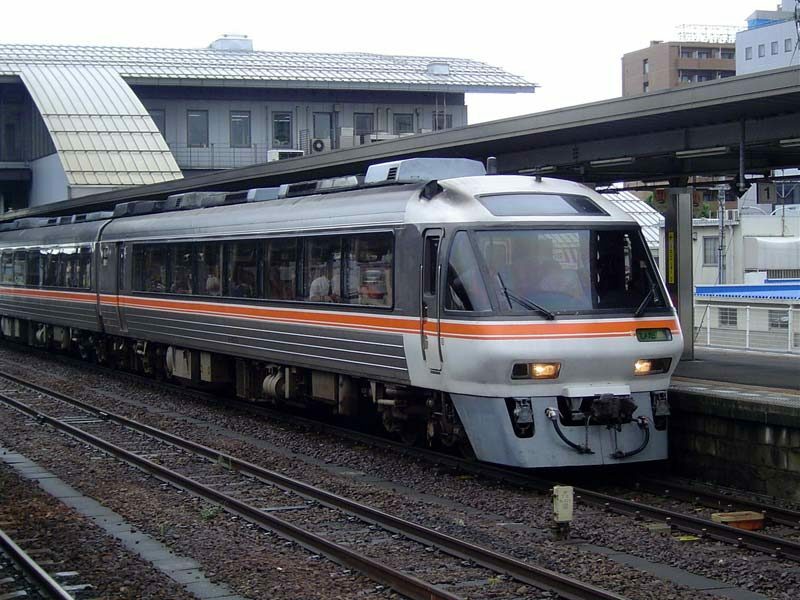 – To get to Kyoto from Takayama, take the JR Hida Limited Express to Nagoya. Once there take the Hikari or Kodama trains on the Tokaido Line to Kyoto Station. What is Kanazawa like on New Years Eve and New Years Day? Is everything closed? Can we still get Kanazawa’s famous sushi at various restaurants on these two days? Will it be a good place to walk around and enjoy a few days”? Hi I am travel from Hakone to Takayama ,stay 2 nights and will be travelling from Takayama to Kanazawa to stay 2 nights , and travel back to Tokyo . We decide to take a day trip from Takayama to shirakawago . What is your advise on purchasing the JR ticket .? Should I buy the 7 day JR pass or but the 5 day hokuriku tourist pass that covers Takayama , Kanazawa and shirakwago. .? I wonder does the ticket include JR from Kanazawa to Tokyo . Yes, the JR Pass includes the trip from Kanazawa to Tokyo. The 7-day JR Pass would be a perfect fit for your trip! Can one do a day trip from Tokyo to Takayama or Matsumoto by train and return to Tokyo the same day, or is that too difficult? Hi Luda! As specified in this article, the journey from Tokyo to Takayama takes about four and a half hours in total. Doing a day trip would be too much considering the transit times, but of course it is up to you 😉 Happy travels! Hello! If we are coming from Kanazawa Station and want to go to Shirakawago village at night during January, how do we get there and how do we buy the ticket if it is not covered by the JR Pass? Thank you! As stated in this article, the bus that will take you to Shirakawa-go departs from Takayama. It is the Nohi bus and it is not covered by the Japan Rail Pass. Thank you for your suggestion, we work daily to provide the best information to our customers and will for sure take it into account for upcoming improvements.